What makes a good garden design? The floral display? Hard structures? Or the ambience of the space? With so much choice, materials, inspirations and established methods, garden design can be like Pandora’s Box. Once you start on this creative process, it can be overwhelming. Nevertheless, it also can be a hugely rewarding experience, not only because you’re creating something from scratch, but you’re adding your mark to a cherished environment. Once again, flower shows across the land are upon us. 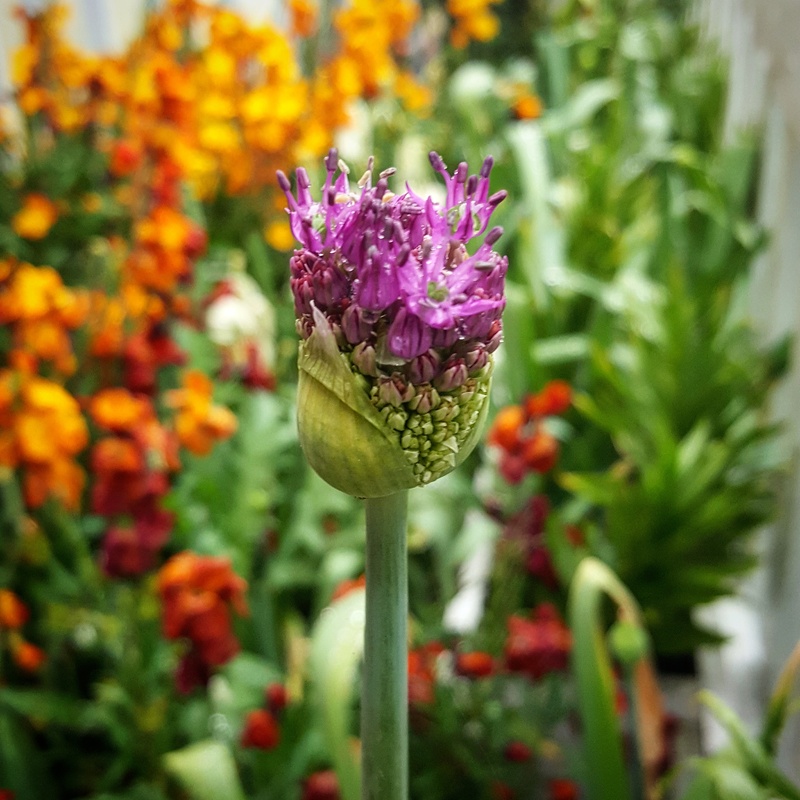 With RHS Malvern Spring Festival only last week, RHS Chelsea Flower Show is close on its heels in late May, and gardeners, suppliers and designers are busy buzzing around to get their displays perfect, not only through the design but also in the timing. It always amazes me how these horticulturalists manage to get their flowers, shrubs and vegetables looking at their best for those few days. Whether they’re in season or not, the amount of preparation, resources and time it takes is phenomenal. Every year, Agent Soph and myself, try to go to at least one of the big flower shows. 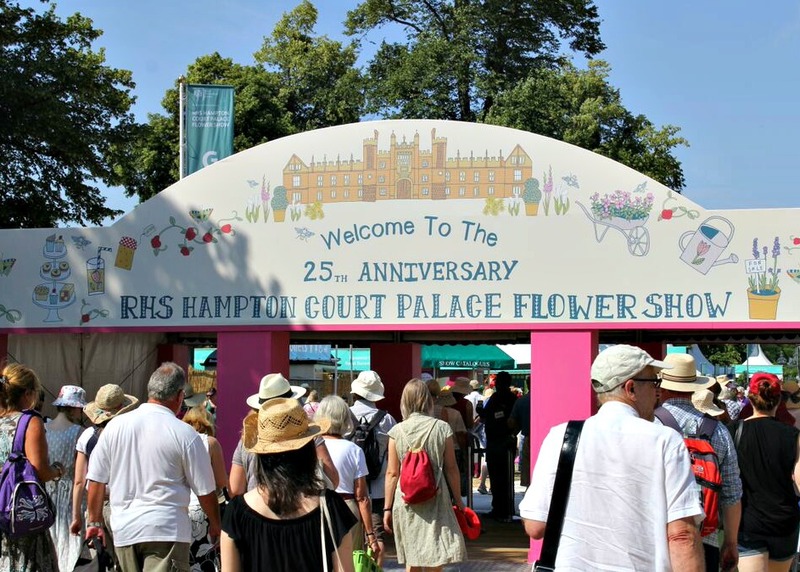 As much as I wanted to go to RHS Malvern, this year we’ve opted for RHS Hampton Court Palace Flower Show in July. Although these shows can mean a mass of people, they’re also places where people are a little nicer, a little more friendly and a little more patient. We’re mostly gardeners, and as such we move at a slower pace. But that’s only because our senses are taking in every colour, texture and smell. We are finely tuned receivers, who have come together to share. And as someone who has to face the daily commuting hell in and out of London, this rare sense of harmony in the city is most welcome. As the years go by, and my experience and knowledge grows, so have my tastes changed. Of course, what I like may not appeal to someone else. 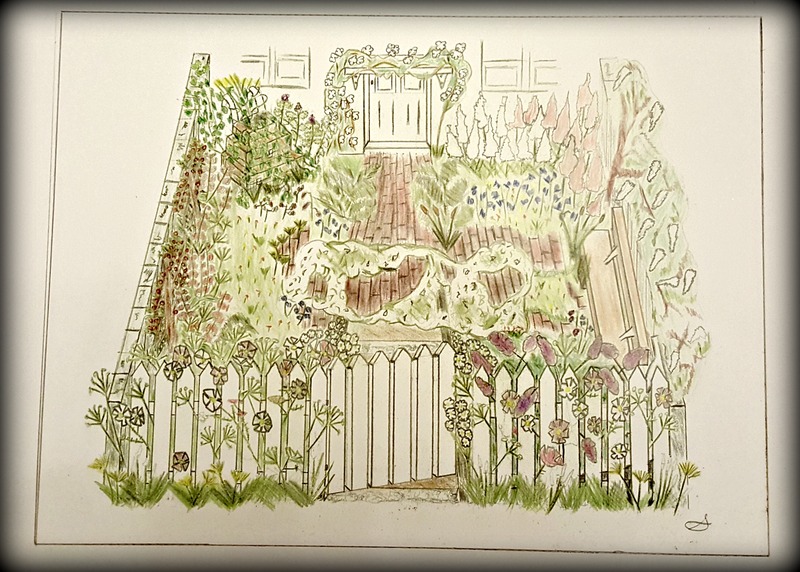 Whilst studying for my RHS Level 2 certificates last year, I was introduced to garden design, from linear site survey to plant design, colour palettes to informal gardens; the secrets of those elusive show garden designers, were now spilling before my keen eyes. There’s so much out there for a budding gardener to be inspired by. Last year, Dan Pearson, who took both Gold and Best in Show at RHS Chelsea Flower, for his Chatsworth Garden, was a big inspiration for me. I love his designs, and have since been reading up on his work, his attitude to horticulture and what inspires him. 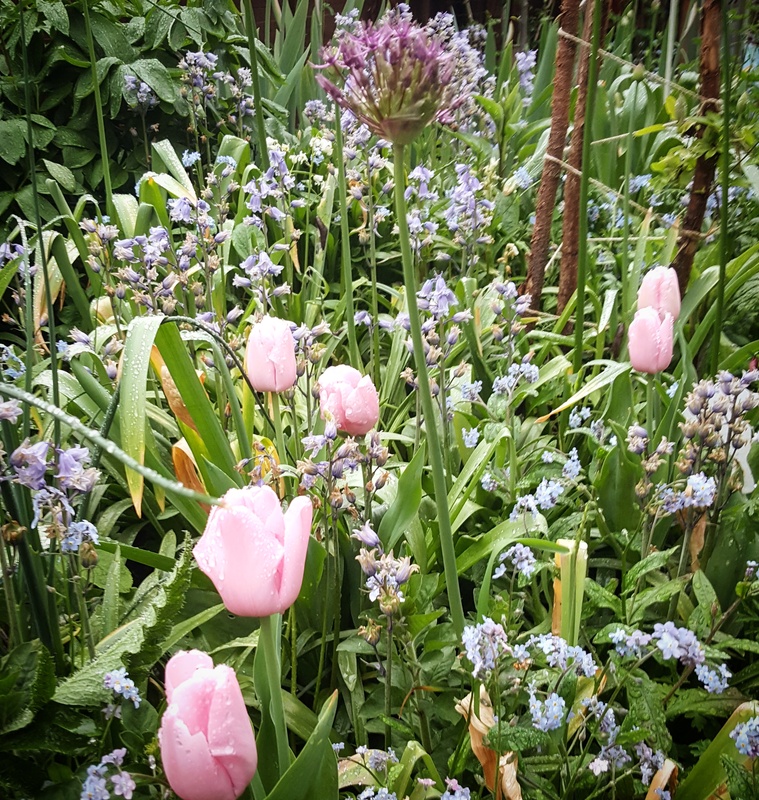 From my back garden to my front garden, and even the allotment, I’d like to say all flowers, shrubs and vegetables have been selected by design. However, I’d be lying. Much of it has been the gentle touch of Mother Nature, weaving something beautiful from the chaos. I’ve said it before, but one day I’m hoping for a spot at one of these shows. As a small player alongside the big boys and girls, I’d love to prove that even a very amateur gardener like myself can hold his own when it comes to garden design. But for now I’ll start little closer to home. After all, from small seeds come great oaks. Would love to see a real flower show some time. There is nothing around here to compare and even good taste is hard to find. That’s a shame Mark. If you ever get the chance one of the RHS flower shows are a wonderful day out to explore and meet like minded people.